So here we are in the midst of summer in Perth, although some days you wouldn’t know that with the crazy weather. But overall, the weather is warm/hot and sunny and there is an abundance of wonderful foods at the markets and shops. I would like to inspire you to make the most of the season produce available, and to eat a wide variety of plant based foods. Fruits and vegetables are the most nutrient-dense foods on the planet, and most people, even those who consider themselves healthy eaters, simply do not eat enough fruit and vegetables. The government recommends 5 serves of vegetables and 2 serves of fruit a day, and they are very conservative, so you can be sure that is the absolute bare minimum you need. My opinion is that for optimal health it needs to be more than that. Many people do not find vegetables appealing, and they often grew up in an era where boiled vegetables was the norm, or they have trained their taste buds to eat highly flavoured take-away foods. So the crisp taste of asparagus or an Asian salad or stirfry broccolini, seems boring. To a large degree, it is a case of broadening your horizons, trying new foods, being open to learning to enjoy them, and being creative in trying new recipes. It may take some time, but it is worth it. The alternative is likely to be a descent into chronically poor health. Legumes, nuts and seeds, and healthy fats like olive oil are also important plant-based foods to keep in mind, and include in your daily diet. Then there are specialty and superfoods such as seaweeds, chia and hemp seeds, and herbs and spices, which add important elements to a rounded diet. Although I am focusing on plant-foods, I am not saying that is all you should eat. For many people, meat and even dairy can feel important for them, and that is fine, but still, plant based foods should be the mainstay of the diet. That doesn’t however include the white flour or fried potato based plant foods most people eat too much of already. The benefits of more whole, plant-based foods are more fibre so a healthier gut, less inflammation, and a lowering of diseases such as heart disease, obesity, some cancers. Also, reduced blood pressure, healthy cholesterol levels and improved control of type 2 diabetes. There are so many more benefits but these have plenty of solid science behind them. So how to add more plant-based foods? Baking: get creative with beetroot chocolate cake, carrot cake, add chia seeds or oatbran to recipes, and enjoy healthier, wholegrain versions of your favourite recipies. 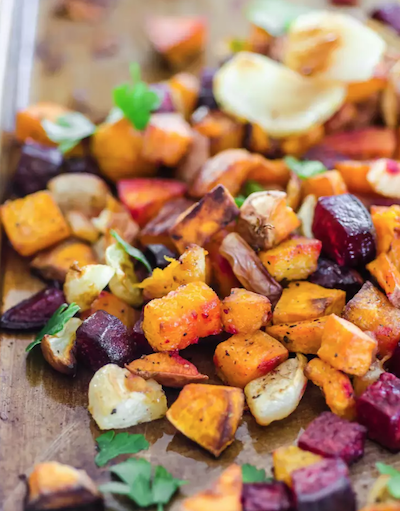 Baked veggies: you can bake a batch of vegetables such as potatoes, pumpkin, beetroot, carrots, sweet potato, caulifower….that can then be eaten hot or added cold to salads or reheated. Plain baked potatoes can also hold a lot of healthy filling. Here is a good guide. Chia puddings; check out the many chia pudding recipes available….you may have found your new fast food super healthy and delicious breakfast. Smoothies are another way to add fruit and superfoods like chia, or spirulina, and if you are brave add a decent handful of baby spinach or cos lettuce- you won’t even taste it, I promise! It is a great way to get a decent serve of nutiritous leafy greens, and helps balance the fruit with healthy minerals and more fibre. Snacks: a piece of fresh fruit at this time of year is so easy…a nectarine, a mango, a handful of cherries. Another great snack high in protein and quite sustaining, is a small handful of nuts. Nuts are high in energy density- i.e calories- but a little goes a long way. Other snacks include hummous with carrot and celery sticks. Its a great time to do some juicing as well, and I tend to only recommend vegetables juices such as celery and cucumber, with a little apple to sweeten. Here is a good green juice recipe. They are so hydrating and balancing for our bodies at this time of year. Fruit juices are ok occasionally but are too concentrated in fruit sugar without the balancing effects of the fibre, so I much prefer to recommend fruit whole. Green vegetable juices can be very beneficial though. Asian greens. These are a great way to add more leafy greens to your diet, such as in stirfries and soups. Don’t be put off by how big a bunch of Asian greens is- it shrinks down to a fraction of its size when cooked, and they only need cooking for a couple of minutes. Also spinach and baby spinach are great, and you can add these to mashed potato or pumpkin as well. Salads are of course perfect for this season, but often people run out of imagination and eat the same salad all the time. Here is one webpage with some awesome recipes you can make ahead. I make my salads for days ahead, and when I feel inspired in the kitchen I might make 3 types of salads and keep them in containers in the fridge for our lunches. This week I have made a version of carrot /date (or raisin) salad, a Mediterranean tomato salad and an Asian salad. I also made a batch of peanut sauce to go over veggies during the week. I hope this has given you some ideas to widen your repertoire of plant-based foods, especially those suited to this time of year, when we often only want to eat raw or lightly cooked foods. Enjoy all the wonderful fruit, and enjoy nourishing your body with healthy, wholesome plant-based foods. 1 bunch of spinach or 1 bag of baby spinach, well washed and drained. 1 orange, juiced, or just peeled and chopped (2 if you want to make sure you really like it the first time). Blend and enjoy at room temperature. It can be a difficult time of year for many people who are learning to make better food choices, want to lose weight, (or just maintain weight), or who react to many foods. It can also be a challenging time for those of us who prefer healthier foods and eat really well most of the time, but when confronted with different choices and outside of the normal routine, find ourselves eating things we normally wouldn’t even be tempted by! Feeling fatigued? Reach for water instead of coffee. Our brains need to be well hydrated for clear thinking, and our bodies need plenty of water to work optimally. You may be aware that you have possibly 10X more microbes in your gut that you have cells in your body and that they can weigh up to 2 kgs. We each may have up to 170 species, but the species can vary considerably, although a few key ones tend to predominate. Did you know that ever single person has a unique composition of gut microbes- as unique as your fingeprint? In the last 5 years, the research around gut health and probiotics and microbes, has exploded, and it takes a lot to keep up with it. I recently did a workshop with Dr Jason Hawrelak who is a Naturopath who did his PhD on gut microbes, and I find this topic fascinating. Researchers are now realising that the widespread use of antibiotics, along with the western diet, have both contributed to devastation of our inner ecosystems. This is having far reaching health and psychological impacts that scientists are are only just beginning to grasp. We are just learning what the loss of key species and the imbalances in our gut flora, actually means. Having a wide variety of friendly microbes leads to a certain resilience against bad health and also pathogenic microbes. Whether we were born vaginally or by caesarian, breastfed or bottle fed, has a huge impact on the types of microbes that grow in us for the rest of our life! What we eat every day also determines the balance and variety of microbes in our gut. When we travel, especially to third world countries, we may pick up new bacteria. When we change our diet, our microbes change. When we eat a variety of foods that our microbes love, they thrive, leading to resilience, health and wellbeing, on every level. So how do we feed our microbes well? Have you heard of pre-biotics? They are becoming pretty popular lately. Our microbes love to feed on what we call indigestible starches. These are the fibre parts of plant food that we can’t break down for energy. The ones that have been extensively researched and officially called prebiotics, are called Fructooligosaccharides (FOS) and Galactooligosaccharides (GOS), and inulin. They are virtually calorie free (because they are indigestible to us) but they provide food for gut bacteria to thrive. 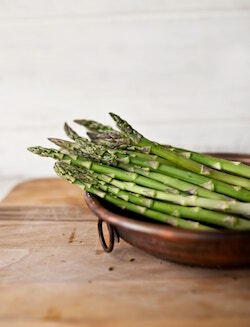 Food sources of FOS include onions, garlic, leeks, asparagus, dandelion and chicory root, and jerusalem artichoke. Food sources of GOS include legumes (chickpeas, black beans, lentils etc), brassica family, beetroot, rye sourdough, sunflower and pumpkin seeds and LSA mix. Other prebiotic-like foods that have been researched include: brown rice, carrots, blackcurrents, cacao powder, almonds and green tea. Resistant starch is another type of prebiotic- like food, and there are various types of this. Rice and potatoes, when cooked then cooled provide resistant starch. Grains, seeds, legumes (whole, not as flour), green bananas and raw potatoes all provide food for healthy microbial balance in the gut. One of the best things you can do for your gut health, and overall wellbeing, is to eat a wide range of plant foods, with plenty of raw foods. Dr Hawrelak encouraged us to eat more than 40 varieties of plant food each week for a healthy gut. Polyphenols are the antioxidant nutrients in fruits and vegetables which give them their different colours- we need to eat lots of green, yellow, red, black and purple foods, but basically lots of colourful plant foods. In the 40+ varieties, brown, red and black rices are all different, as are red and green apples or grapes- because the different polyphenols and other nutrients all feed different microbes. Some people cannot tolerate lots of plant foods, and they may need some special protocols to heal their gut, but please do not think that because you have some gas from eating something different, such as some beans, that you are intolerant to them. Not at all- it’s just that your gut microbes are not used to them yet. Eat them daily for a few days and your gut will adapt- literally, the right microbes will proliferate to digest the new food as long as you keep eating it. Especially if they are presoaked and cooked well. This is one reason why restricted diets designed to kill off pathogens- candida diets, , parasite cleansing protocols or diets for SIBO (small intestinal bacteria overgrowth), are not meant to be long term diets. They are meant to be used short term (max 3 months generally) for a specific purpose, then move to a broad diet as soon as possible. Also, the protocols for these conditions often include strong antimicrobial herbs which when used long term (some people mistakenly stay on these protocols for a year or more) do as much damage as long term antibiotics, on the microbiome. Where do fermented foods fit in? They are helpful, but you can’t just eat fermented foods on top of a bad diet. They have to be part of a wider approach. While fermented foods do contribute probiotic microbes to the gut, it has been shown, just like with probiotics, these do not generally stay more than a week. That is why the focus is shifting to prebiotics- the foods which feed the microbes so that they thrive. Conditions like IBS, candida, Crohns, Diverticulitis, SIBO and many others, definitely need individualised protocols, but for most people who are relatively healthy, adding in more variety of plant foods, and limiting processed foods and too much dairy fat and animal protein, will go a long way to building health and resilience to disease. The world of our microbiota, our inner ecology, is fascinating and we are only really at the frontier of understanding it. However, the principles of healthy eating that are ancient and tradiitonal are only reinforced with all this explosion of research and new understanding. Eat a mostly unprocessed, mostly plant-based varied whole foods diet, as our ancestors did, and you will build a good foundation for your health, wellbeing and longevity. A healthy microbiome is absolutely essential and central to our health and wellbeing, and worth nurturing. 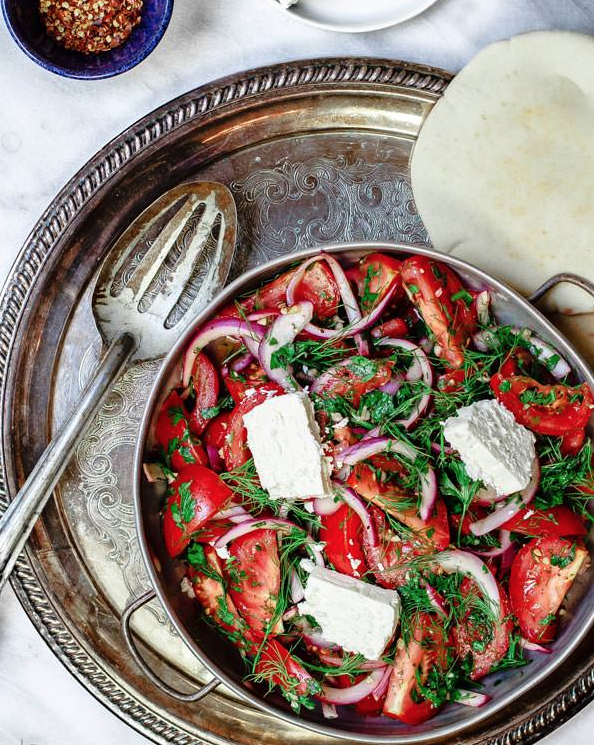 My mum's spinach salad recipe will get the whole family eating their greens. In this last article in the 4 part series on Healthy Weight, I talk about measuring your food, and how tricky our brain can be to sabotage our weight loss efforts.